How Sports Cars can Be Disabled-Used Friendly! - Muscle Cars Zone! There have been many amazing advances in auto technology in recent times. Not only have these advances unleashed more power and made driving performance cars even more enjoyable, but they have also opened up the world of motoring to a much wider group. There are an increasing number of motorists with a disability on the roads and this is due to the innovative adaptations and inventions that have made it easy and safe for those with a wide range of conditions to get behind the wheel of Sports Cars. The majority of these adaptations have been made to regular automobiles so that those with a disability can get out and lead their daily life. These adaptations include wheelchair accessible vehicles from places like Allied Fleet, which have transformed the lives of many and allowed disabled people a disability and their families to easily plan trips and avoid having to use public transportation. Brilliantly, many of these adaptations can also be made to sports cars too and this only looks set to continue. For those that struggle to use the pedals, a car can be fitted with hand controls so that you can control speed by pushing or pulling on a lever. If steering is difficult, a steering wheel ball or joystick can be fitted so that you can easily steer with one hand. Other options include left foot accelerators for those with limited mobility in their right leg, pedal modifications and remote controls which can operate basic car functions. These are just a few of the adaptations that can be made to any car that can make it simple and safe for an individual with a disability to operate a car, including sports cars. The future looks bright as more and more adaptations will arrive, allowing those with a wide range of disabilities to get behind the wheel. The greatest example of how these adaptations are changing lives is Nic Hamilton -- the younger brother of F1 driver Lewis Hamilton who has a cerebral palsy. 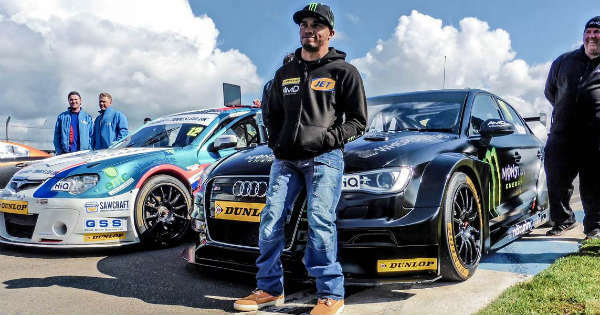 Hamilton’s brother is now the first driver with disabilities to compete in any British Touring Car Championship and this was made possible by adapting the automobile. It is easy to see this becoming more common in the coming years. Vehicle adaptations have allowed many people with disabilities to get behind the wheel and enjoy the great sense of freedom and independence that this provides. These adaptations can also be made to sports cars, allowing those with disabilities to experience the thrill of driving a high-performance automobile.